If possible we would strongly recommend using public transport to get here. Our hospitals are in dense urban locations where roads are often busy and parking is often oversubscribed. All our hospitals are served by many bus routes and other community transport services which are detailed in the pages linked above. For information about any public transport services please contact Transport for Greater Manchester on 0871 200 2233. Their lines are open between 7.00am and 8.00pm on Monday to Friday, and from 8.00 am to 8.00 am on weekends and bank holidays, you can also visit their website. We are currently running a free electric shuttle bus around the central site, taking patients and visitors from the two main car parks at Grafton Street and Hathersage Road from the car park entrance to their hospital door. This currently operates during daytime hours only; look out for the yellow bus stops and mini electric bus. Our Oxford Road campus is very well served by buses. Over twenty different routes from across Manchester all stop directly outside the Hospital on Oxford Road, including the 147 bus from Piccadilly Train Station. The First Bus 18 Service from Langley and the V1/V2/ V3 from Leigh and Atherton stops on the Boulevard close to all main hospital entrances. We have cycle racks to lock your bike up outside all of our Central Site hospitals. It’s about a 15 minute ride to us from Manchester Piccadilly Train Station, or 10 minutes from Manchester Oxford Road Train Station. Visit CycleStreets for a personalised cycling map and directions to our site. Our closest railway stations are Manchester Oxford Road (MCO), approximately 1 mile away, and Manchester Piccadilly (MAN), approximately 1.5 miles away. Both are a short walk, cycle or bus ride from our Oxford Road location. Visit National Rail for a personalised rail timetable, simply click the link and enter your starting station, destination (MCO or MAN) and travel time. Our nearest tram stop is at St Peter’s Square at the north end of Oxford Road, approximately 1.5 miles away. This is a short walk, cycle or bus ride from our Oxford Road location. Visit the Transport for Greater Manchester site for details of trams to and from St Peter’s Square. We’re based on Oxford Road and are very well connected to the rest of the city. It’s about a 40 minute walk from Manchester Piccadilly Train Station, or 20 minutes from Manchester Oxford Road Train Station. Visit Walkit for a personalised walking map and directions to our site, simply click the link and enter your start location. We recognise that people come from all over Manchester to our hospitals, and access by car can often be difficult. With this in mind we have a ‘Park and Ride’ location from which you can take a free shuttle bus to the main hospital site and then walk or catch a 5 minute bus down Oxford Road to the Dental Hospital. This located at Trafford General Hospital (map). The Trafford General Hospital shuttle runs from 10am to 3pm, Monday to Friday. It departs from the main entrance of Trafford General Hospital towards our central site on Oxford Road (and returns) approximately every 30 minutes. View the full shuttle timetable. As a city centre location on one of the busiest roads in the region, parking can be in high demand at our main site so please allow time to find a space when you arrive. We are around 1 mile from the nearest motorway junction and are accessible by car. Note that the roads surrounding our site will face disruption over the next few years due to works associated with the Bus Priority Package. Visit Google Maps for a personalised driving map and directions to our site, simply click the link and enter your start location. Car parking for patients and visitors at our Oxford Road site is largely located in one of our two multi-storey car parks located at either the North East (Grafton Street Multi-storey) or South West (Hathersage Road Multi-storey) of the site. Each of these car parks provide parking for patient, visitor and staff car parking and operates a pay on foot system where customers make their payment for parking on exiting the car park. If you have been to an out-patient appointment or attended Accident & Emergency and your visit has gone over 6 hours, you will be charged only the £5 rate. Please speak to a member of Security staff at the car park before paying and bring proof of your appointment or attendance. If all disabled spaces are full, disabled badge holders may park in any normal car park space free of charge. Download a summary of all parking charge exemptions and discounts. 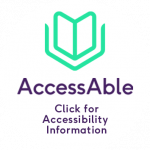 View access information for each of our sites (availability of accessible lifts, low payment counters, assisted access entrances etc.). Wheelchairs are available for a £1 deposit in the entrances of our two multi-storey car parks on Hathersage Road and Grafton Street, as well as being available in the entrances of hospitals. If you have any accessibility enquiries or special requirements such as help with visual impairment, hearing, language or communication matters, please ask a member of staff for assistance or contact the Patient Advice & Liaison Service (PALS) on 0161 746 2019. You can also contact us by minicom on 0161 746 2243. Sign Language Interpreters and Lip Speakers may also be available by prior arrangement. Travel vouchers are for people who are not able to use ordinary buses, trains or Metrolink and have serious walking difficulties or are registered blind. They can be used to pay for taxis and for travel on accessible bus services such as Ring and Ride and Community transport. Local Link is a service which allows passengers within certain areas of Greater Manchester to book door-to-door journeys.